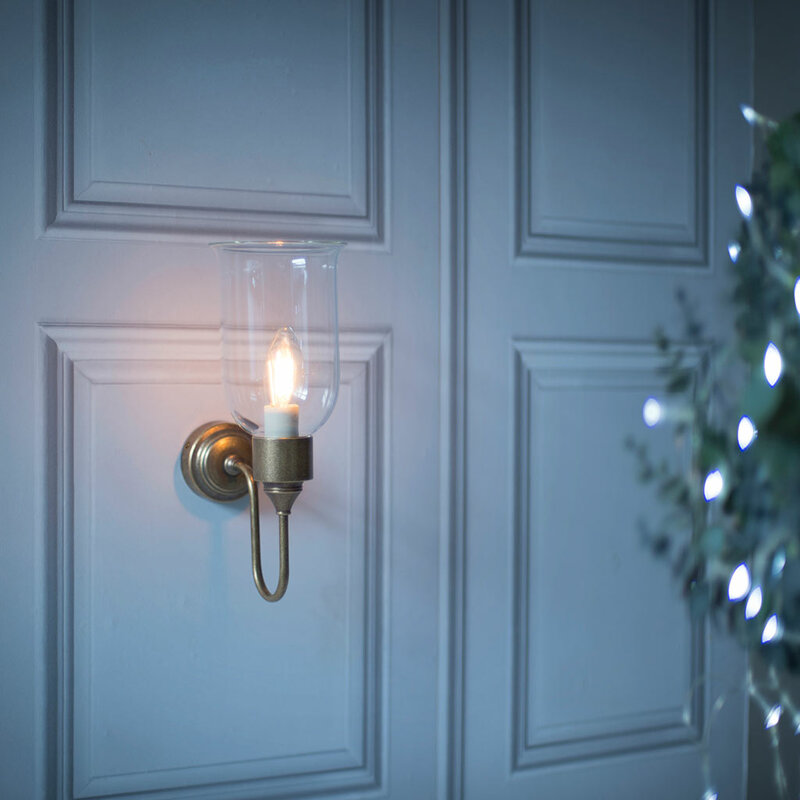 Our Chester Wall Light is the electric cousin to our Hurricane Candle Sconce bringing a touch of the past to the present and looking equally at home in an industrial space as it would a more traditional one. With its hand blown, flared glass shade and elegant brass turnings, it makes a design statement wherever it is hung, possessing a quality that only the best craftsmenship can achieve. 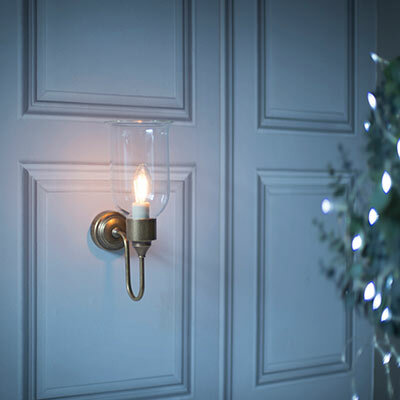 Shown here in our classic antique brass, this finish is created by treating solid brass with antiquing solution to speed up the natural tarnishing process and create a lovely aged look that will darken naturally over time. To lighten the brass, you will need to buff it occasionally with a small amount of brass cleaner to return it to its original hue. For a more contemporary look, try our polished lacquer or nickel versions which have a reflective quality and patina that suits a modern interior. To find out more about our finishes, check out our product finish page. Sits very proudly on my wall, very happy.